When seeking assistance as financial troubles ignite, the savvy CEO isn’t interested in a report of findings, opinions or another three months of lost revenue. Rather, what he/she truly wants is immediate relief. 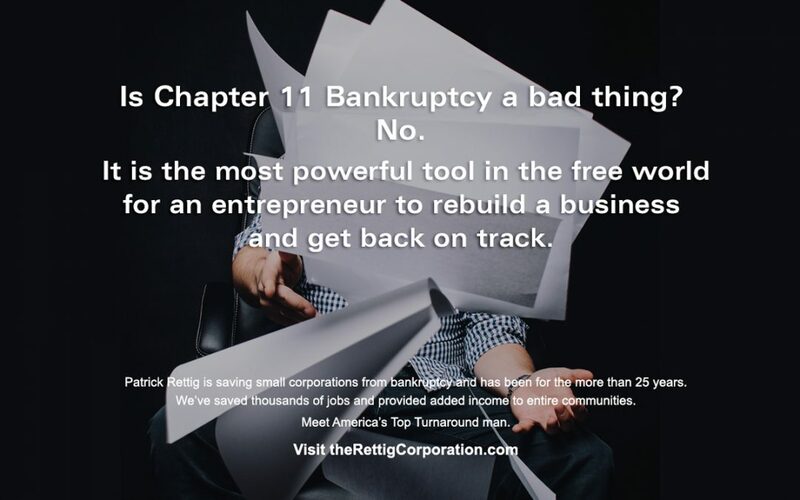 Our business at The Rettig Corporation is helping companies overcome the struggle of insolvency, address reorganization and restore stability & profitability. We take an aggressive approach to stop the financial bleeding and reorganize the priorities within a business. We help you save your business and restore profitability.